he enlisted in the British Army and fought in two forgotten conflicts, the Great War, Salonika & Palestine. Decorated for bravery, he returned home to Ireland after four years of war to find that Home Rule was not forthcoming. He rejoined the National Volunteers, which later changed its name to the Irish Republican Army. Now a wanted man, he went on the run, living off the land during the two years of the Irish War of Independence. Following the signing of a treaty with Britain, he joined the National Army with the rank of Commandant. During the Irish Civil War that followed he was promoted to Brigadier General in command of the Midland Division of the Irish Army. His life came to an end when he was murdered on a street in Athlone. He died from his wounds on his 25th birthday. The title of the book reflects the fact that he was a decorated hero in the Great War and again in the Irish War of Independence, where he was promoted to Brigadier General in the Irish Army. The book cover reflects the end of 700 years of conflict as the Irish National flag was raised over Athlone Castle, a national monument to, and a concrete symbol of, the centuries of tyrannical imperial rule. My research uncovered the history of conflict, ethnic cleansing and oppression denied to me by the educational system in Ireland during my school days. I would encourage my fellow Irishmen, the Irish of the great Diaspora and in particular Irish/Americans, to read the book and be proud of their ancestors who fought and died for the freedom and prosperity that Ireland now enjoys. Phil Tomkins, born in Dublin, Ireland, educated at CBS Westland Row, Dublin, awarded a BA Hons. Degree in Creative Writing by the University of Bolton, Lancashire, England. An ex-elite forces soldier' whose writing reflects his continuing interest in military history. During research for his latest book 'Twice a Hero' he found that heroes like Brigadier General George Adamson, Commandant Jim Tormey and his brother Volunteer Joseph Tormey, who fought and died to liberate their homeland, lie buried in an untended cemetery right in the heart of the community from which they came. 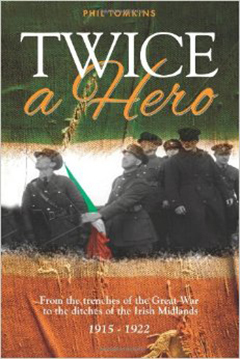 His sincerest wish that his book 'Twice a Hero' may help awaken the memories of all the Irish fallen heroes, that they may assume their deserved place in the folklore and history for as long as the flag they raised flies over Ireland. 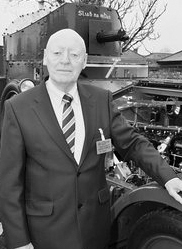 Phil continues his research for his next book 'Once a Soldier' and currently resides in the North of England in semi-retirement with his wife Maree.